Japanese Cherry is a classic among the flavored green teas. 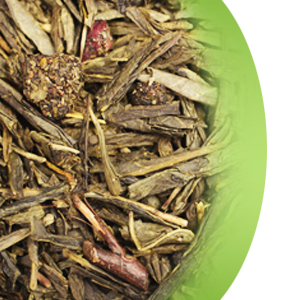 A vibrant green Sencha cup featuring very clean and crisp wild cherry flavors. It will bring your mind to wander among the beautiful pink cherry tree blossoms. Enjoy this delicately sweet Japanese rejuvenation with every sip.